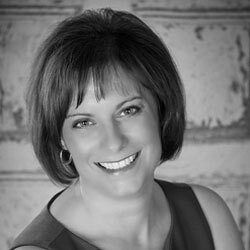 Jen Phillips is a Licensed Assistant/Broker for The Lori Bonarek Team since 2014. Born and raised in Coal City, her knowledge of the area and surrounding communities is quite extensive but she’s not limited to just the local area. Jen has worked in several areas, including Lockport, Oak Brook and Romeoville. She is passionate about the needs and goals of her clients. Her 25+ years of customer service has enabled her to be a good listener and great communicator. Understanding her client’s needs is imperative to better help them attain their goal of homeownership or sale. “It is a privilege to have clients trust me with their largest purchase or sale,” says Jen. Jen has a great commitment to her real estate education, having been mentored by one of the top agents in Grundy County and attending numerous training/education classes. She is always open to new ideas and emerging trends. Jen enjoys spending time with her family including their two dogs. She is a member of the GFWC IL Junior Organization and volunteers for many school and local activities and events.